Here at TechMD, we don’t just strive for success, we want to maintain it. So when we were given the honor of Best Places to Work in Orange County by the Orange County Business Journal in 2012, we knew we had to keep up the hard work. We know that we do IT right, but doing right by our people is just as important. 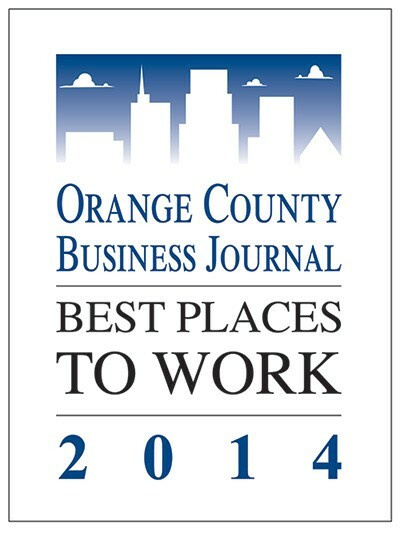 We’re proud to announce that the hard work paid off and we’ve once again been named one of the Best Places to Work in Orange County for 2014. Based on a 78-question Employee Engagement and Satisfaction Survey, we ranked above many of our competitors and are really honored to call TechMD a great place to work. – Must be in business a minimum of 1 year. Check out the article 2014 “Best Places to Work in Orange County” and be sure to watch the “Join Our Team” video detailing exactly why we can officially call ourselves one of the Best Places to Work in Orange County! We value great communication, bright minds and having fun.